Fry 500 grams chopped chicken fillet in some heated olive oil. Add seasoning as desired, l used Robertson Rustic garlic & herb seasoning with chilli powder. Add 115 grams of tomato paste with twice that amount of water (230grams). Stir, add some Ms. Ball’s chutney (need sweet for the tomatoes) & some hot Nandos sauce. Add 75ml of cream (l prefer orley whip). Reduce heat & add some fresh dhania. Serve warm mixed through pasta. I cooked 500 grams of linguine as directed. I did not drain the pasta, just dished it into a bowl with a pasta spoon retaining some of the liquids. 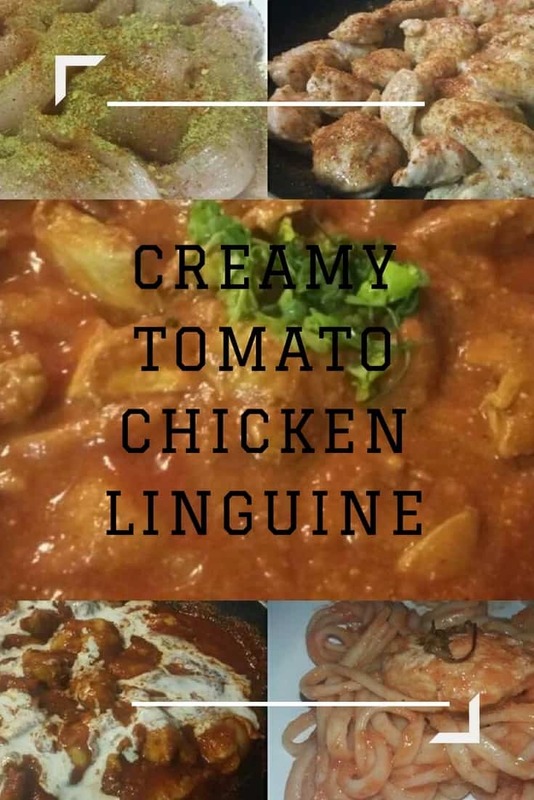 Mix through sauce & enjoy.